RJ Power Networks provides electrical installation, operation and maintenance services to end users and duty holders throughout the UK. Our experienced and multiskilled team work to the highest standards to achieve excellence in the engineering services we provide. We focus on building long term positive and productive relationships with our clients and supply chain partners to provide a service which demonstrates the highest standards in safety, technical accuracy and efficiency whilst continuously demonstrating value for money to our clients. RJ Power Networks offers a range of services including maintenance of low and high voltage switchgear, protection systems and controls, supply and installation of equipment and regional emergency callout. 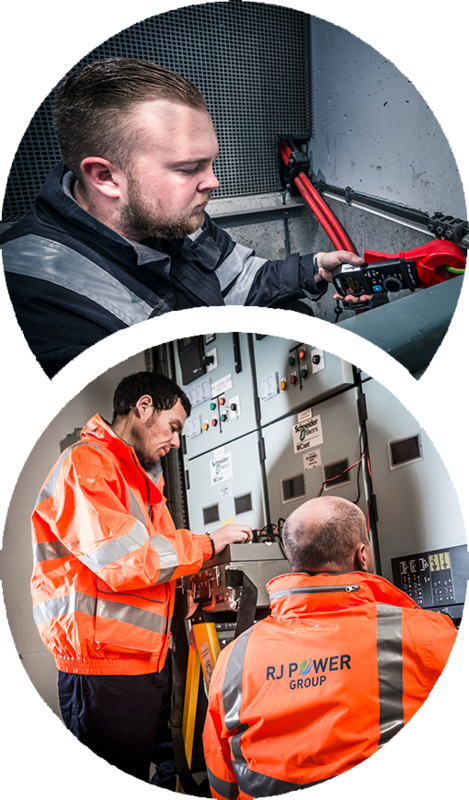 We also proudly deliver training and switchgear/substation familiarisation to others in the industry. We continually strive to improve and adapt our ways of working in order to maintain a cutting edge. This includes making sure our team are upskilled on the use of the latest equipment and emerging technologies, so our clients are reassured that we are always working to the most up to date methods. We are a member of the Energy Networks Association. Our membership enables us to be kept up to date with all suspensions of operating practices (SOPs) relating to faulty switchgear and dangerous incident notifications (DINs) which, in turn, enable us to learn from other members’ findings and likewise share ours within the association.